In 1960, 17 African countries declared independence. A story about Africa in 1960, the following half-century and thoughts about its future. In 1959, James Ngugi travelled west from his village in Kenya to attend Makerere University in Kampala, Uganda. Both countries were still British colonies but a great independence movement was underway on the continent. Before 1950, there were just four independent countries in all of Africa. Six more would become independent in the 1950s. The peak would be in 1960, with 17 countries declaring their independence. The Kenya that James Ngugi was leaving was a white settler colony with a state of emergency in effect. War was happening, known as the Mau Mau Rebellion. The Uganda that he saw on arrival was nearly purely African, still a colony but with civil liberties and no war. Events were moving rapidly. He went to Uganda as a colonial student but graduated in a free country, as a citizen of another free country, Kenya. As part of the change sweeping Africa, that student would change his "colonial" name to Ngugi wa Thiong'o and go on to become one of Africa's greatest writers. In an interview with CBC News, Ngugi, now 72, reflected on the early '60s at Makerere. There was "tremendous hope" then as he and other students joined the students who came from one country after another to celebrate their homelands' independence. Ngugi wrote his first play, The Black Hermit, as "a contribution to Uganda's celebration of independence" in 1962. "Ngugi speaks for the continent" was the headline on the review in Makerere's student newspaper. The first volume of Ngugi's memoirs, Dreams in a Time of War, has just been published. That title, he said, "captures the hope we felt despite the harsh reality around us." He is now writing the volume that covers the 1960s. Well aware of the problems of the last 50 years, Ngugi says the 1960 independence was still a "tremendous achievement" after the many years of colonial rule. Canadian media were caught up with the excitement of Africa in 1960. A feature in Toronto's Star Weekly opened: "Africa, long known as the Dark Continent, is now bright with the glow of smouldering unrest and the flame of open revolt and violence." A feature in the Toronto Telegram began much the same: "Africa, vast, rich and for centuries a slumbering giant, is bursting its chains." The coverage was not without its own colonial attitudes. The Star Weekly's Bill Stephenson wrote that, "Above all, the turbulent continent is divided by the often impenetrable ignorance, superstition and illiteracy." Richard Dowden, director of the Royal African Society in London, has spoken to some of the then young administrators the colonial powers sent to Africa in 1950s. Their main order was "don't spend any money." Little was done to train the African professionals who would be needed to run an independent state. In his book Africa: Altered States, Ordinary Miracles, Dowden writes about another problem: how colonial rule had damaged and discredited Africans' traditional leadership and political system. Traditional rulers had become identified with imperial rule and Africa's new nationalist leaders knew they would need to be replaced. "In colonial times, no one was brought up to be a leader. The bosses were the whites," Dowden said in an interview with CBC News. Then there were the borders Europeans drew across Africa, ignoring existing ethnic areas, sowing the seeds for decades of ethnic violence. Not all countries had independence movements, especially those with few European settlers and therefore little removal from the land. "Independence came to their inhabitants as a surprise, not as liberation," Dowden wrote in Africa. "The pressure to leave quickly came from the U.S., who wanted Europe to disgorge its empires, largely because the trade was tied into them and America wanted those markets," Dowden told CBC News. Also, after the Second World War, Europe was exhausted. Dowden describes the European thinking at the time as, "Let's just go; let's just forget this whole imperial project and leave." On the other hand, independence also coincided with a boom in commodities. That meant some new African states were relatively well off. "There was a lot of money flowing into Africa so independence felt good. 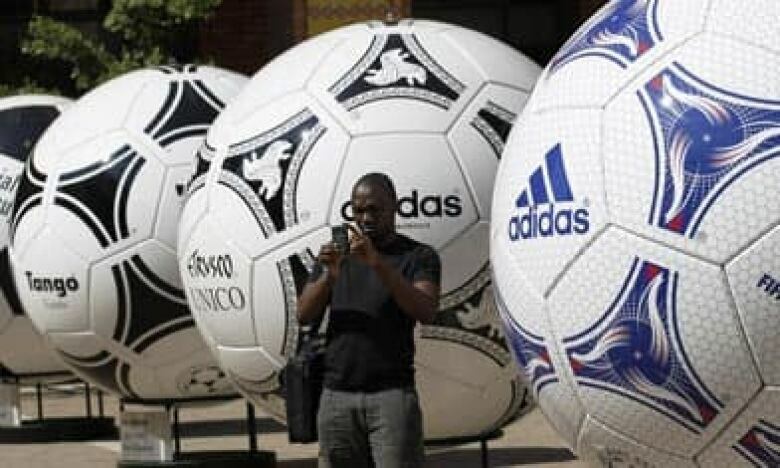 In an economic sense, they were doing better," Dowden said. It would not last. For Ngugi wa Thiong'o, a conference he attended in 1962 both concretized his hopes and served as a metaphor of what happened afterwards to independent Africa. It was the first African Writers Conference, with most of the prominent writers from east, west and south Africa participating at Makerere University. Chinua Achebe, Wole Soyinka, Ezekiel Mphahlele, Lewis Nkosi and writers from abroad like Langston Hughes were there. It was a huge moment, for Africa and for Ngugi. Ngugi was then at work on his first two novels, Weep Not, Child and The River Between, but still a Makerere student. "Imagine a young student like myself beginning to write … being in this gathering of these writers," he said in an interview. "In that conference, one could feel the optimism that swept the continent." But soon after, most of those writers "could already see certain social developments that they felt betrayed that hope." Ngugi's own story is representative. He felt that although Africa was achieving political independence, economic justice for ordinary people was missing. "That was what many of us felt and expressed in our writings." 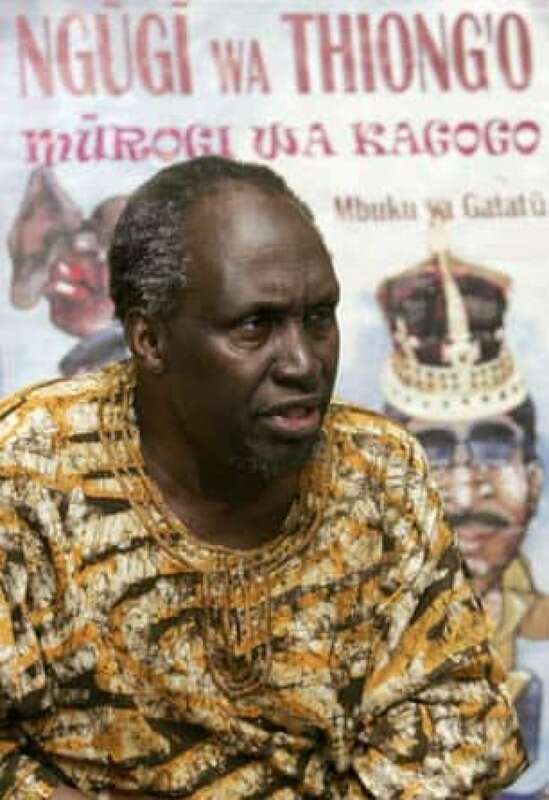 In 1977, Ngugi, a major literary figure, was detained at a maximum security prison in Kenya after a production of his play, I Will Marry When I Want, upset the dictatorship. A prisoner of conscience campaign by Amnesty International forced his release a year later but he could not resume his university teaching. While on a trip abroad in 1982 promoting Devil on the Cross, he learned of plans for him to be killed upon his return to Kenya, so he went into exile, first in the U.K. and then in the U.S., where he still lives. The story is told that when his next novel, Matigari, was published, Kenyan dictator Daniel Arap Moi issued an arrest warrant for the novel's central character. 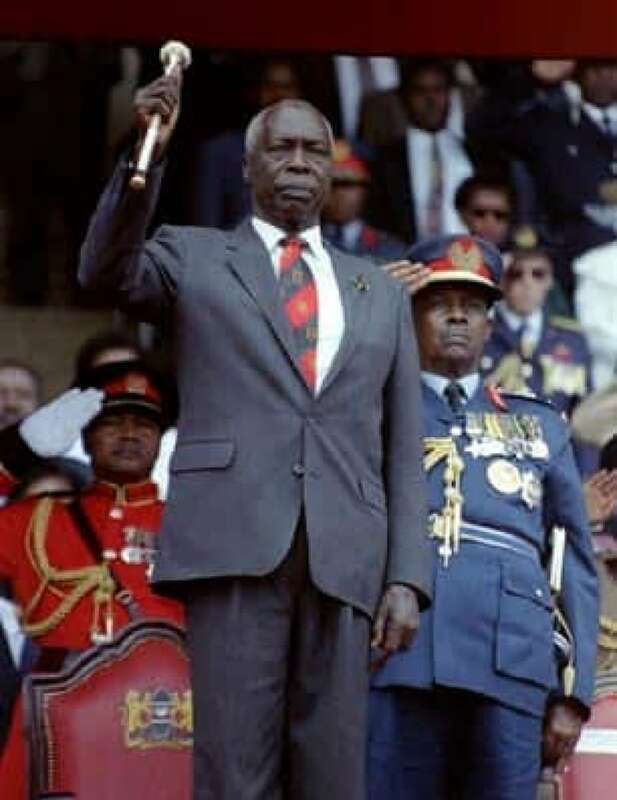 When Moi learned the character was fictional, he ordered that all copies of the novel in Kenya be seized instead. In the middle of Ngugi's journey from arrest to exile, the last of Africa's colonies, Zimbabwe, achieved real independence in 1980. 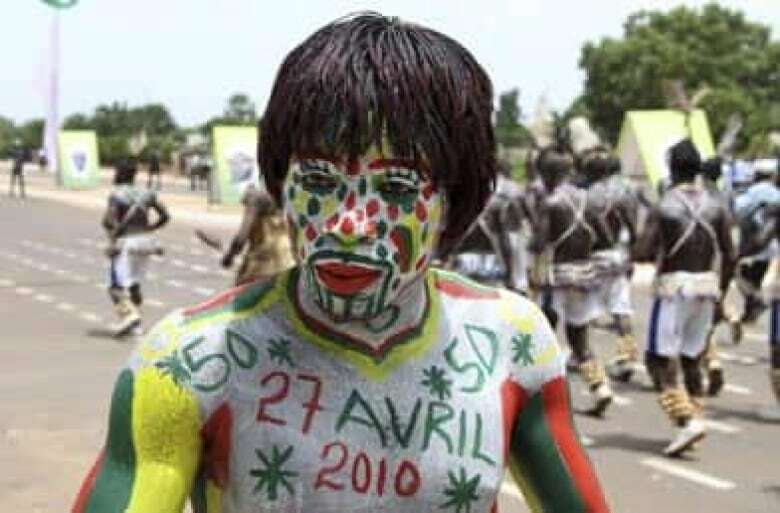 It was the 41st country to declare independence since the start of the Year of Africa 20 years before. 1980 was a transitional time for Africa in other ways, too. The 1979 oil price shock marked an end to the long commodities boom and the AIDS virus was about to unleash its fury in Africa. All this was in the midst of an economic downturn. Morton Jerven, assistant professor of international studies at Simon Fraser University, writes that between 1975 and 1995, "growth did fail in the majority of African economies." Per capita incomes declined by 3.7 per cent from 1980 to 1987. In 1987, average indebtedness for African countries was half of GDP. Problems with corruption, political leadership, lack of economic diversification and inequality continue to plague Africa. However, economic growth (and commodity price rises) had returned to Africa just before the turn of the century, and continued until the 2008 global economic crisis. From 2003 to 2008, growth averaged more than six per cent. In 2008, the World Bank published a report titled Africa at a Turning Point? Peter Lewis of Johns Hopkins University sees a syndrome of "growth without prosperity" in Africa. "Despite Africa's improving record of growth, there has been limited evidence of poverty reduction or improved equity in the region's highly skewed economies," he writes in the May issue of Current History. For Ngugi wa Thiong'o, many positive things are happening on the continent but "there are many gaps and we have to meet their challenges." The poverty gap and the gap between Africa and the West means for Ngugi, "real change will be when we can see genuine economic and social development for ordinary people." Ngugi said his latest novel, Wizard of the Crow, "describes more or less the present conditions of Africa in the world and the possibilities of a new Africa and a new world." 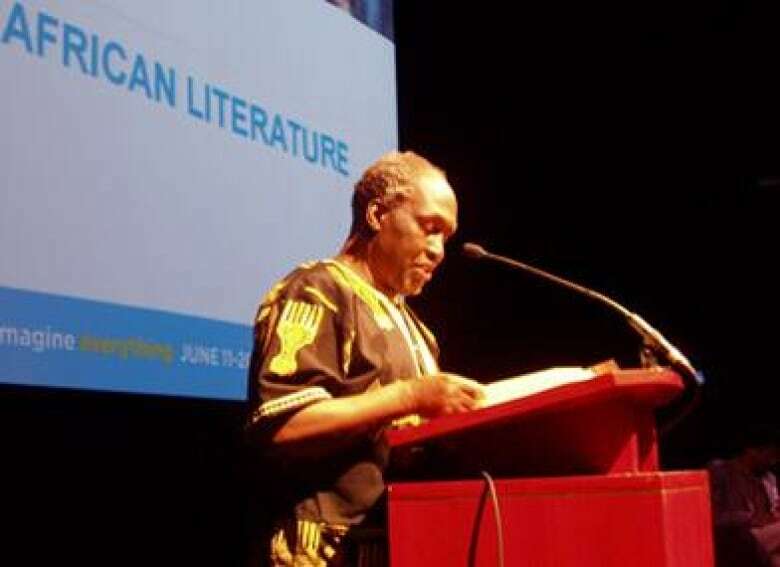 The Luminato arts festival in Toronto has two events featuring African writer Ngugi wa Thiong'o. Saturday, June 12 he is on a panel with Nigerian-Canadian author Carole Enahoro and Zimbabwe's Brian Chikwava. The Sunday event has him on a panel with Kenyan playwright Binyavanga Wainaina and Doctors Without Borders' James Orbinski. When Richard Dowden considers those possibilities, he remembers his first of what would be many visits to Africa. In 1971, in Malawi, he recalls a time of immense optimism, "a great sense of pride in the new nation." The feeling was "we're creating these wonderful new worlds." Today he sees several hopeful signs for Africa. Economic demand from Asia, and especially China, has broken the European stranglehold on African commerce. There is a new professional class in Africa, including people from the African Diaspora who have returned, bringing new skills and new ways of doing things. "The civil servants are much better now and Africa is better governed as a result," Dowden said. In internet cafés, one can see people looking for things that will improve their lives, for educational tools. Dowden also said mobile phones have transformed politics, social life and businesses in Africa. The continent has mostly skipped over landlines so, "suddenly, communication is very easy in Africa." Looking back on the 50 years since the Year of Africa, Dowden said, "The most damaging thing that colonialism did to Africa was not political or economic or the borders, or anything else, it was a blow to Africa's self-belief, the idea that the only way to become 'developed' … is to become like the white man. That was so damaging to the psyche of Africa and I think that's what's changed."